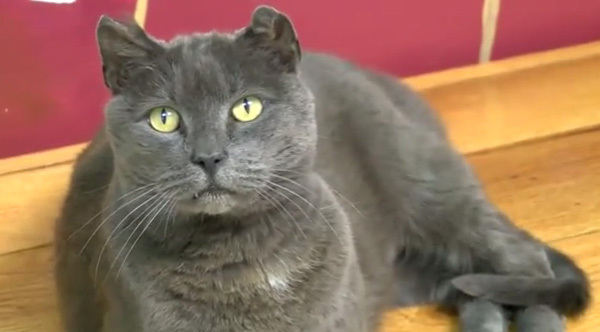 Hemi the cat was finally reunited with his owner after going missing four years ago. Hemi is finally heading home, more than 2,000 miles away to Bismarck North Dakota. His owner, Marine Robert Connell, says Hemi was more than a cat, he was like a person, who could listen to some of his deepest thoughts as he struggled with PTSD. Connell’s wife Jennifer says when Robert previously deployed, Hemi went looking for him and never returned home. The Connell’s told the local news they had been planning to move into a new home in the coming months, but now feel like their family is finally complete.